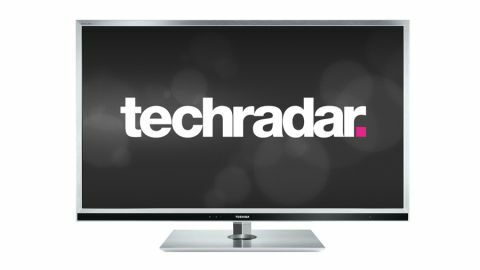 If you live in the UK, chances are your main impression of Toshiba these days is of a value-driven brand that successfully sells mostly good TVs for less money than you'd expect. If you live in Japan, though, your impression will be very different. There the brand is at the cutting edge of high-end innovation, thanks to the way it integrates its 'Cell' PC technology into its TVs to deliver extreme feature counts and class-leading picture quality. Now, happily, Toshiba has finally deigned to let at least a bit of its Japanese power filter through to the UK, in the extremely pretty shape of the 46YL863: a designer 46-inch TV equipped with at least a smidgen of Cell power, known as the Cevo Engine. This should make its presence felt in the television's general picture quality, thanks to more advanced, faster processing. It should also have a particularly strong impact on 3D playback, as it powers a 3D version of Toshiba's 'Resolution +' sharpness enhancement. It even has the potency to tidy up the notorious crud-fests you tend to get with video streamed from internet sources such as YouTube. The Cevo Engine even enables the Toshiba 46YL863 to provide an intriguing auto-calibration system, provided you're willing to pay extra for it. We'll explore this later. Add to these 'premium' features, elements such as active 3D playback support, built-in smart TV functionality and a reasonably well developed set of multimedia playback tools, and you've got a TV with the potential to take on big boys such as the Samsung UE46D8000 and the Panasonic P50VT30. Alongside the YL863 series in Toshiba's range is the WL863 series, which is essentially the same TV, only finished in black. Stepping down the range, you get to the VL863 series, which offers a passive 3D solution and doesn't use the Cevo Engine. There's also a cheaper active shutter 3D option in the shape of the TL868 range. For now, though, we've got our flagship goggles on with the Toshiba 46YL863. So for the next couple of thousand words or so, only the very best will do.